Night after night, out there in the moonlight, Something was trying to get in at the bedroom window. A huge malevolent Something. Something not of this world. 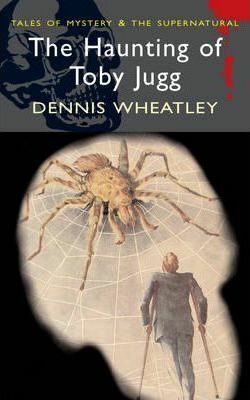 Inside, Toby Jugg, a wounded Battle of Britain pilot, thought first that he was hallucinating, then that he must be going mad, finally that this evil Something was real and striving to reach him. So begins what is probably Dennis Wheatley's most terrifying story of the supernatural. The struggle which ensues brought Toby unexpected help but also ungues treachery as it moves inexorably towards an appalling confrontation and seemingly inevitable catastrophe. No wonder Dennis Wheatley was called "The Prince of Thriller Writers".